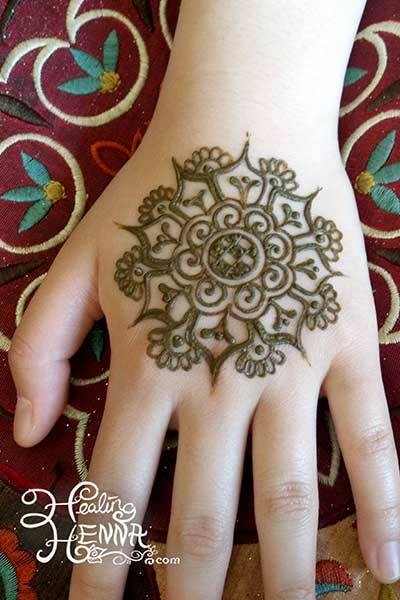 Are you looking for arabic mehndi designs? 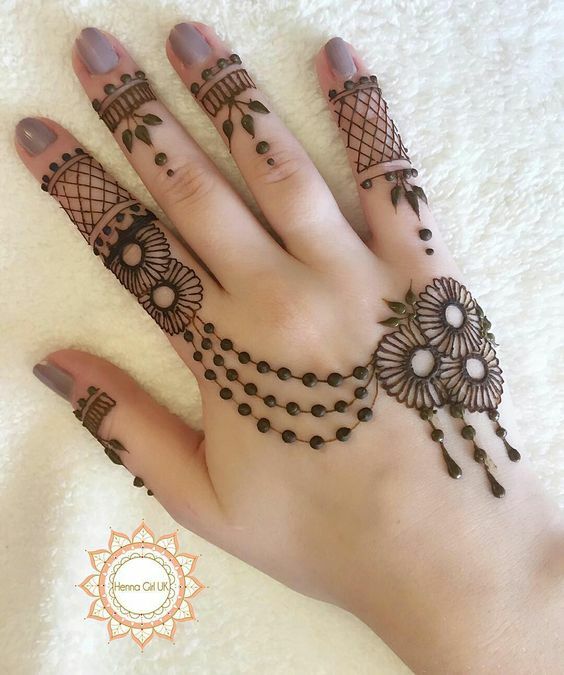 If yes this post is for you, here you can get a closer look new arabic mehndi designs for every occasion. 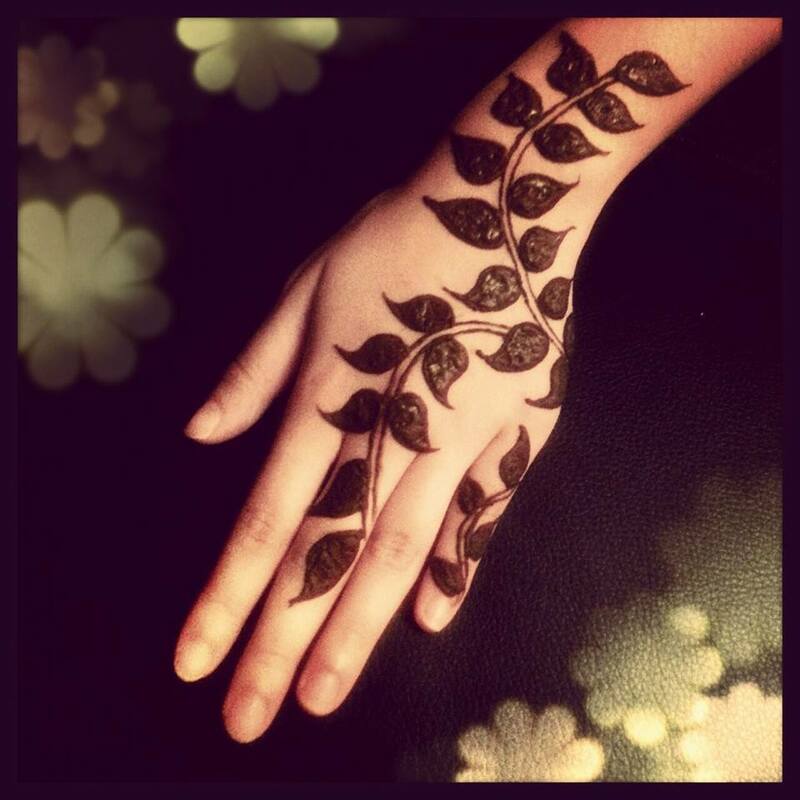 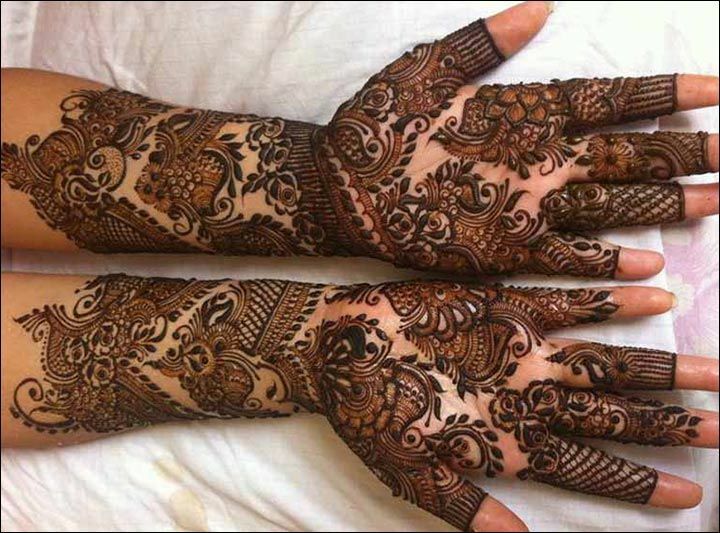 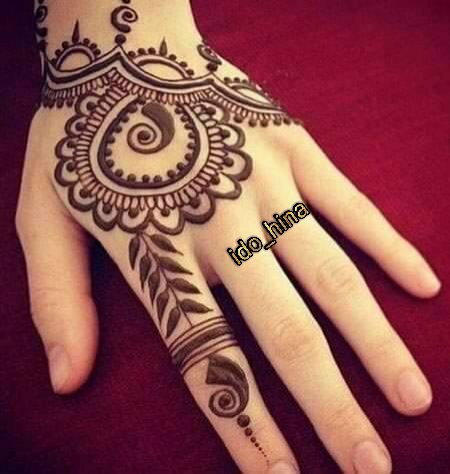 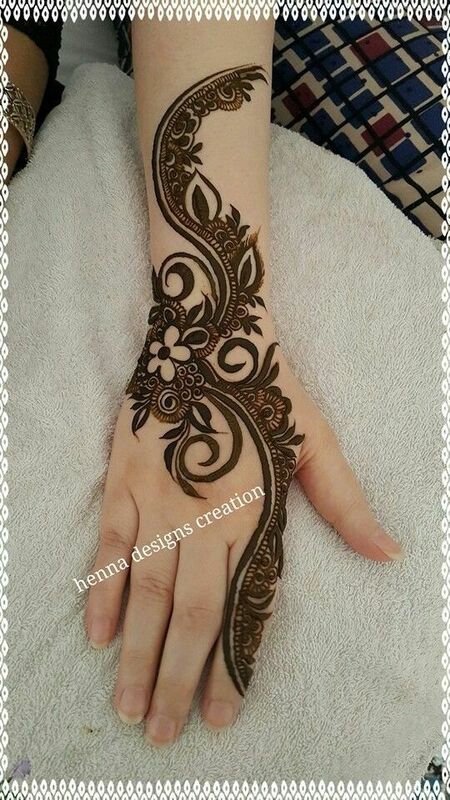 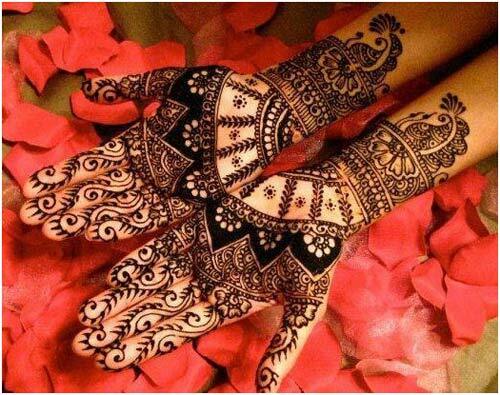 Bold and thick henna patterns make arabic henna style different from rest of the henna designs. 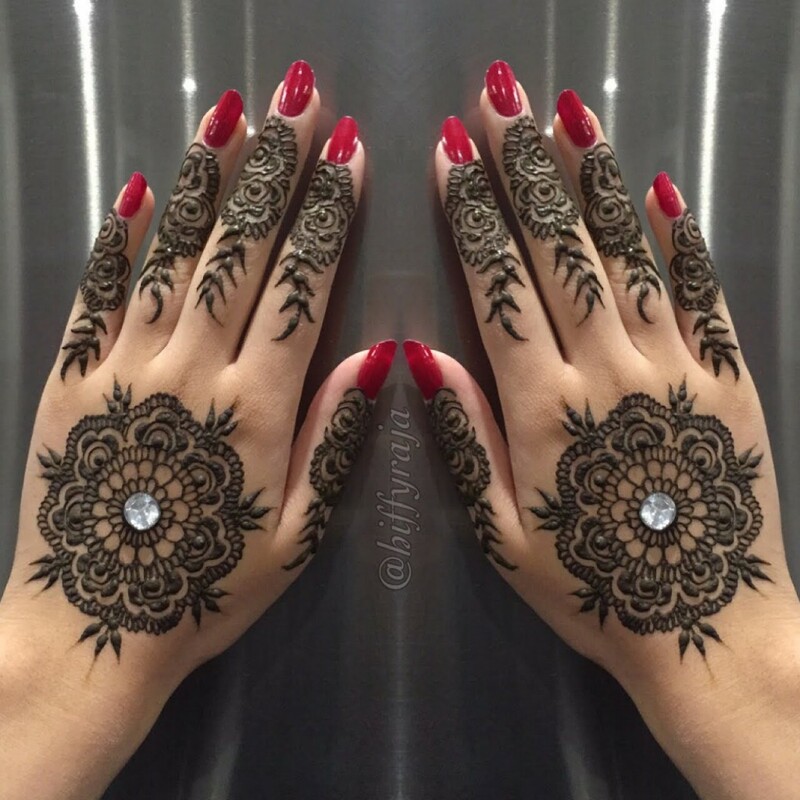 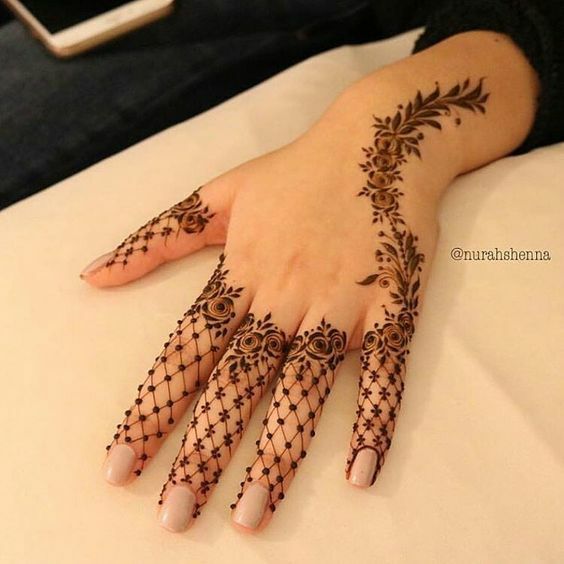 Arabic style of mehndi is most popular in gulf countries but recently it gained popularity in other countries around the world hence this post offers new arabic mehndi designs for women of every age from kids to adults and also for every occasion from casual parties to eid and weddings so tune in to this article because it’s all for you ladies. 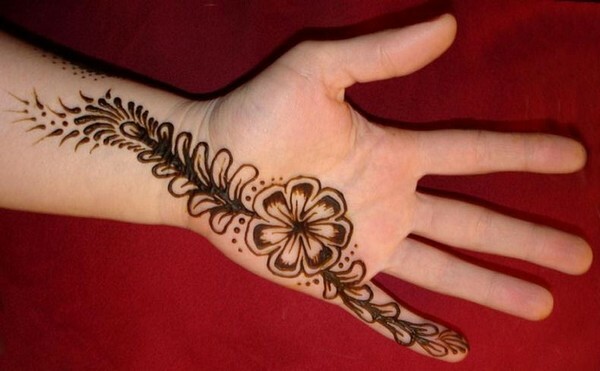 Let’s start with simple arabic style henna patterns for beginners. 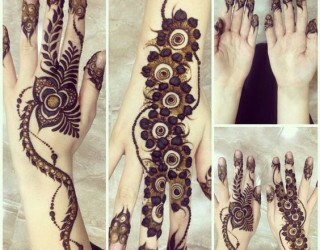 If you don’t know how to apply arabic mehndi you need not to worry. 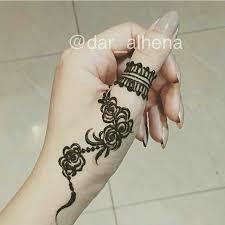 Just practice at least 3-8 times on paper or piece of glass keeping in mind the different arabic henna patterns like swirls, leaves, vines, different flowers you will be able to draw mehndi patterns easily on different body parts. 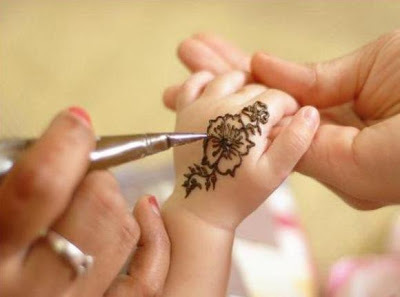 Trust me it’s just practice with little practice you could be able to draw any mehndi design. 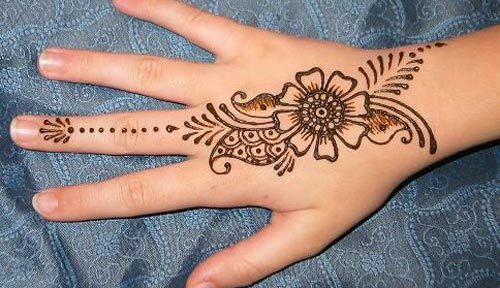 Pro Tip: Practice the arabic mehndi design of your choice on paper before actual application. 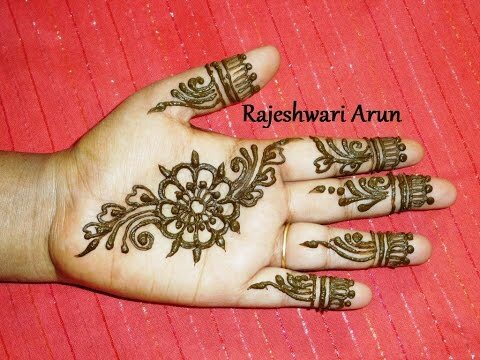 If you are a beginner then I am sure these articles would help you, just click on the links. 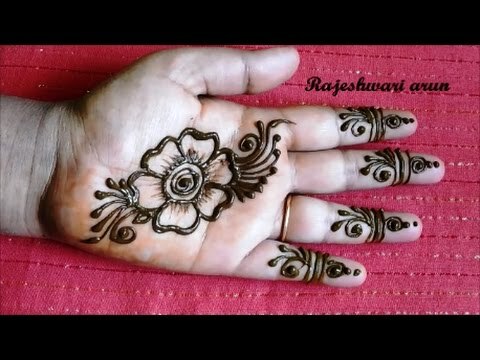 Easy mehndi designs and simple mehndi designs for hands. 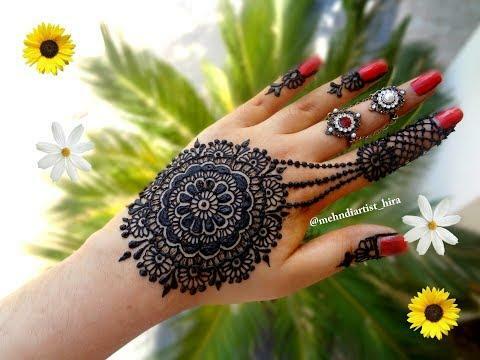 Circular or gol tikki mehndi in arabic style accentuate the looks more and it is one of the best way to achieve the traditional look at any event like mehndi ceremony or eid. 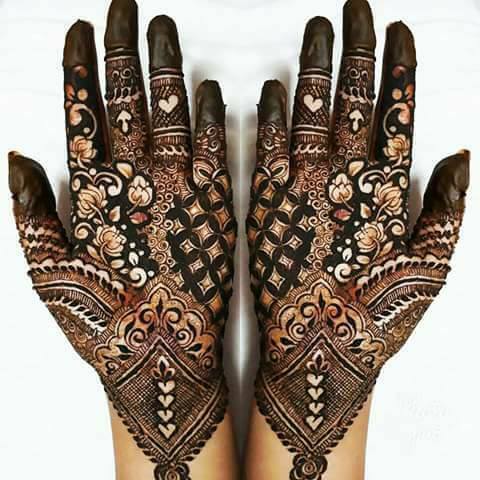 Round mehndi can be applied on back of hand and palm of hand as well, you can find new style gol tikka mehndi images below and if you want more tikka mehndi designs you can click this link easy gol tikka mehndi designs. 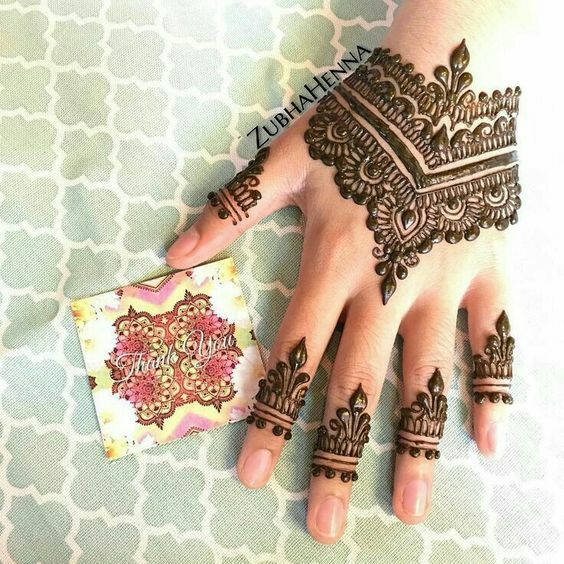 Bridals usually look for most beautiful henna designs that make the more beautiful, obviously it is right to be the belle of the ball on special day of life. 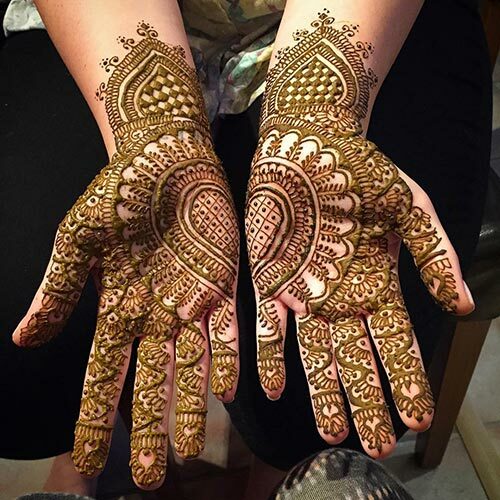 If you are in search of bridal mehndi design that are attention garbing look at the mehndi images below to get some inspiration for your big day of life. 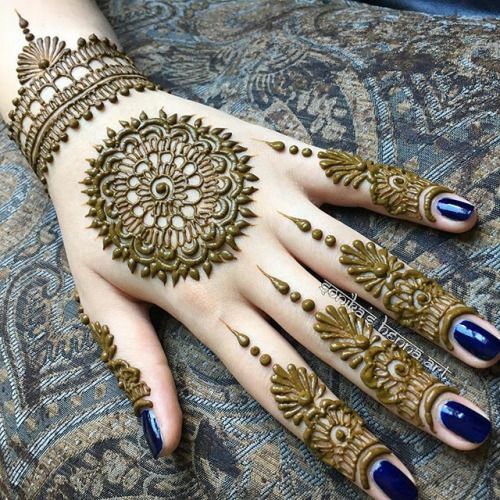 Pro Tip: As a bride if you want to make your hands pop add stones and glitter to your mehndi designs because glitter and stone adds extra beauty to mehndi. 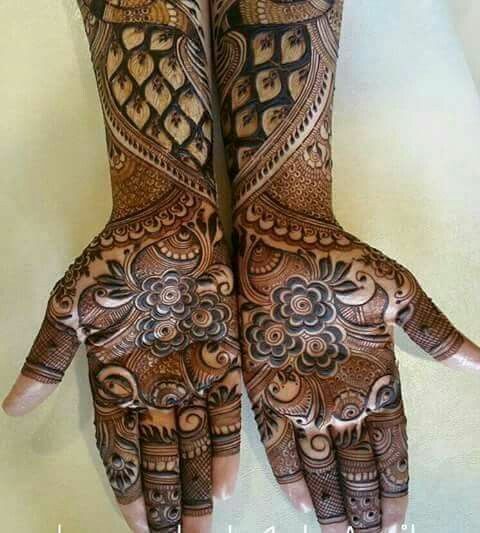 If you don’t want arabic mehndi designs on your wedding day and want intricate heavy bridal mehndi designs in Pakistani or Indian style I would recommend this post to you wedding mehndi designs. 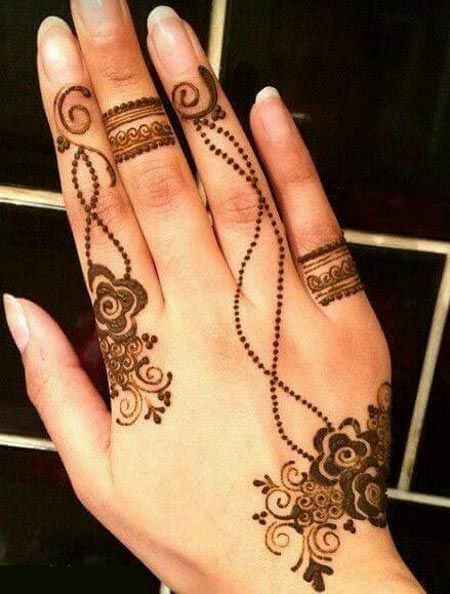 Girls and women love to apply mehndi on eid or it is more proper to say that women of all ages think there is no eid without mehndi hence it is seen saloons are packed with women, girls and kids to get mehndi done on chaand raat. 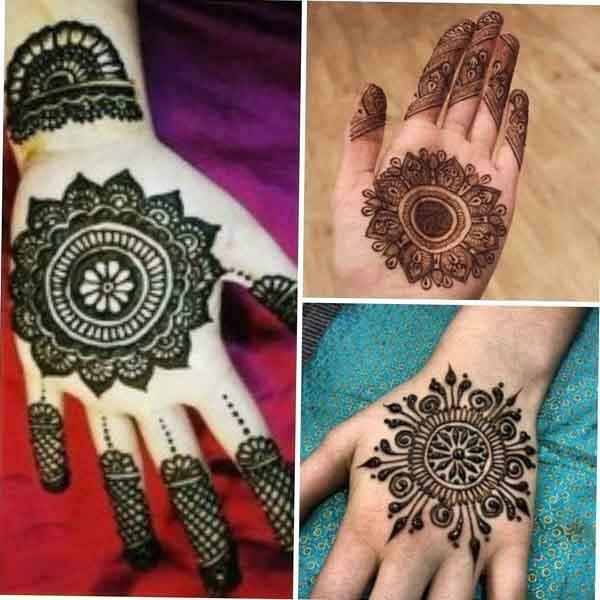 To get some inspiration for eid mehndi designs have close look on the mehndi photos below I am sure you would love these henna patterns. 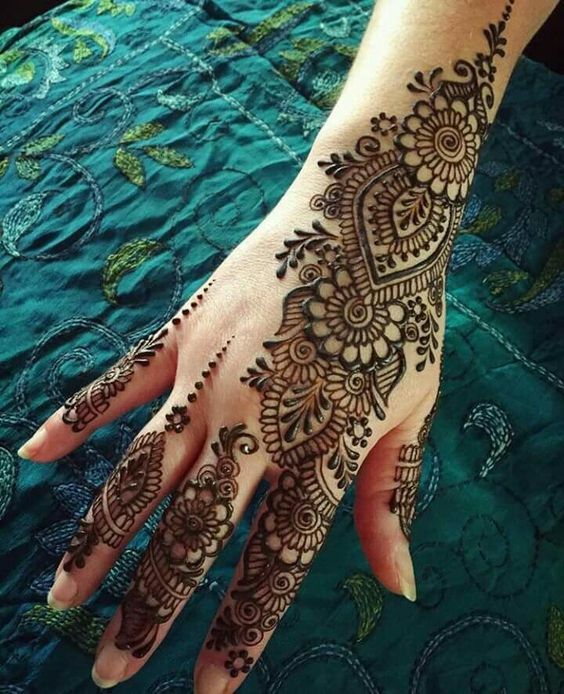 Henna artist and professionals keep experimenting with gorgeous henna patterns to adore hands, arms, and other body parts. 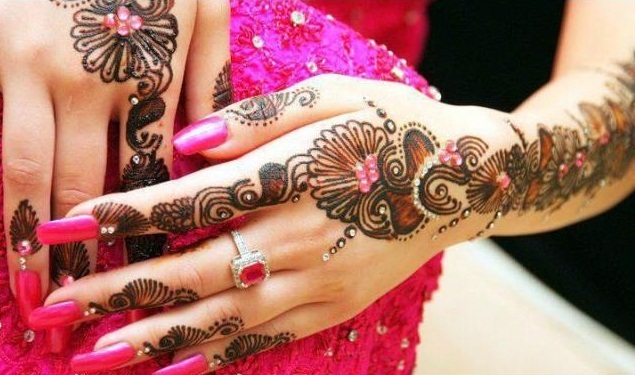 Going for jewelry mehndi design looks like arms and hands or other parts of the body are being decorated with jewelry. 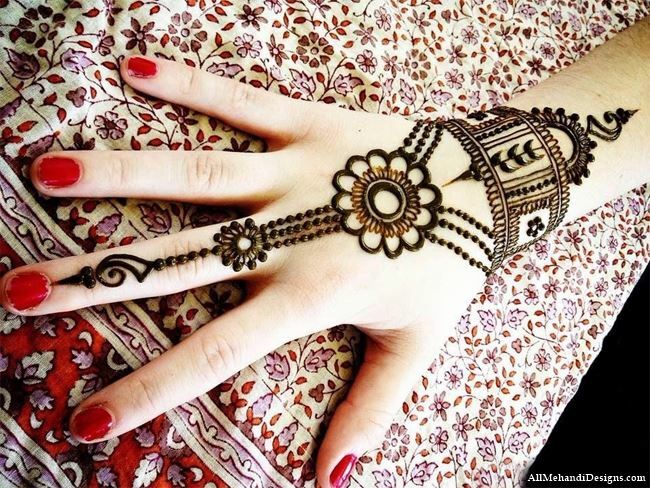 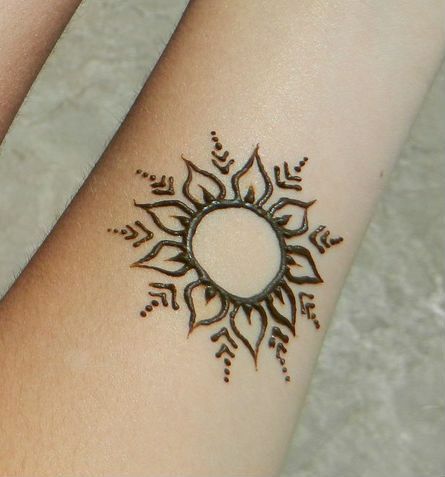 So if you want to adore your body with such henna designs have a close look on jewelry inspired arabic henna images to get design ideas for coming events. 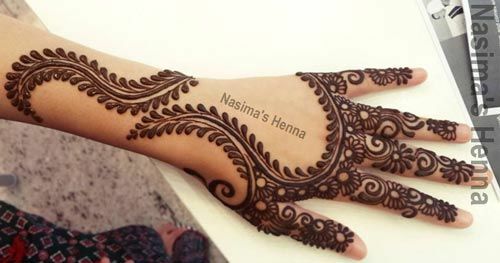 Bold and thick henna seams more eye catching than thin mehndi patterns and another important thing about bold and thick henna is dark mehndi color. 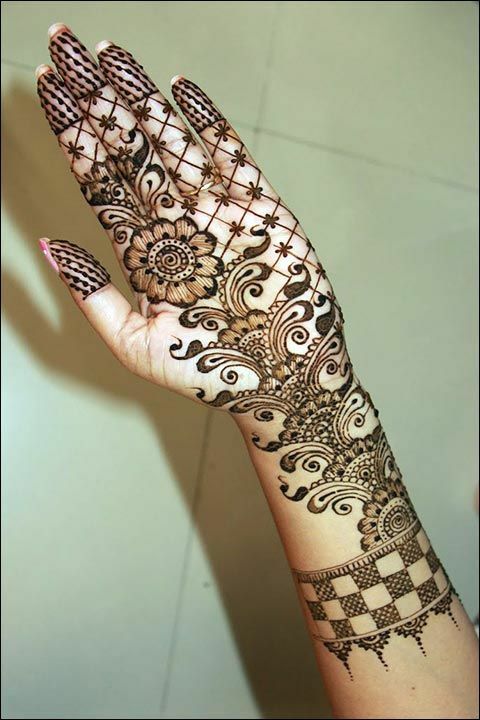 If you want to have dark mehndi color go for bold arabic mehndi patterns. 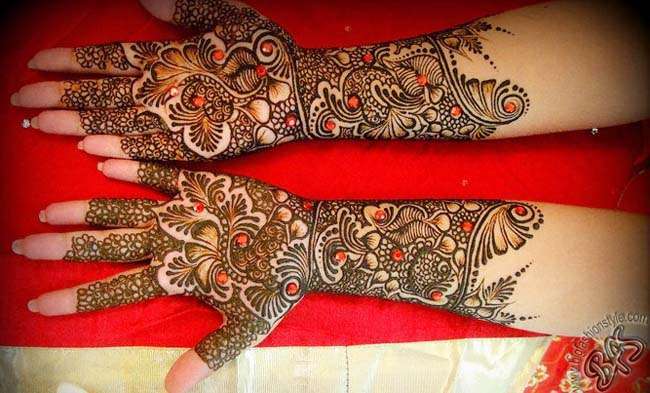 Keeping in view the mehndi photos below you can get necessary bold mehndi design ideas to make your hands more adorable for any event. 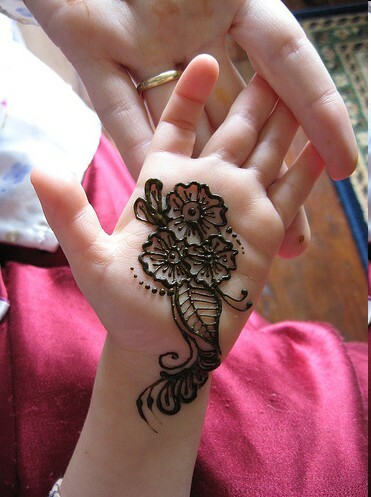 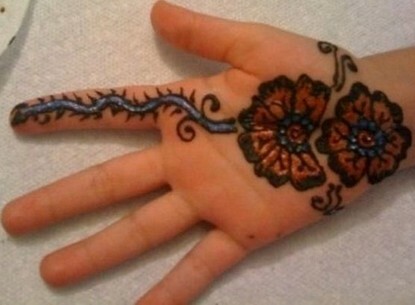 Little princesses love to draw mehndi patterns on hands along with cute dresses, Cinderella like shoes and accessories. 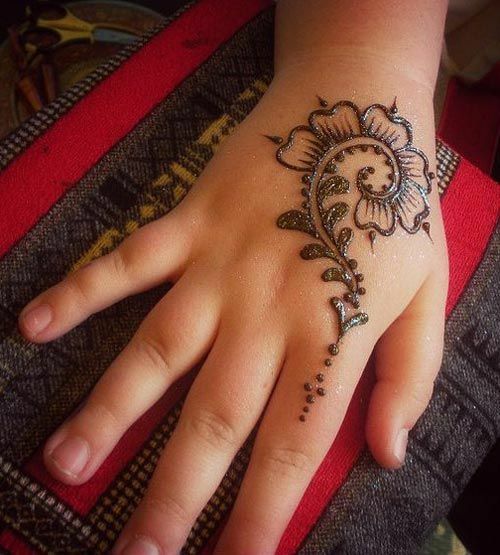 Adoring little girls hands with henna double their beauty and excitement both, hence I have collected cute arabic mehndi designs for kids have a closer look at all the images to have a mehndi design idea for your little barbie. 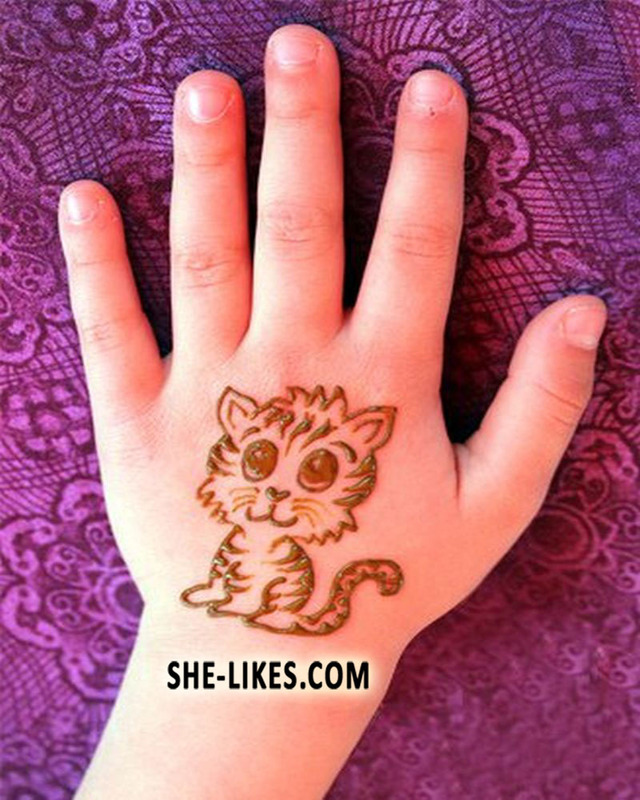 All the patterns are so cute and simple that your kids going to love these all. 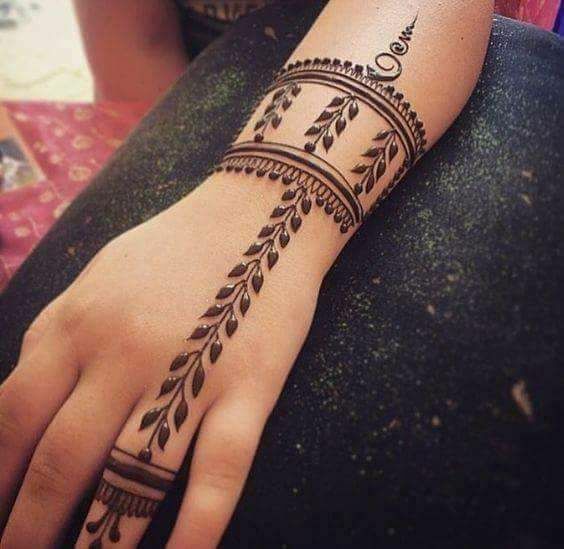 In this post you took a closer look on arabic mehndi designs in different styles like simple and easy arabic mehndi, bold and thick arabic mehndi, bridal arabic henna, arabic mehndi for eid, jewelry inspired arabic mehndi, gol tikka arabic designs and arabic mehndi designs for kids. 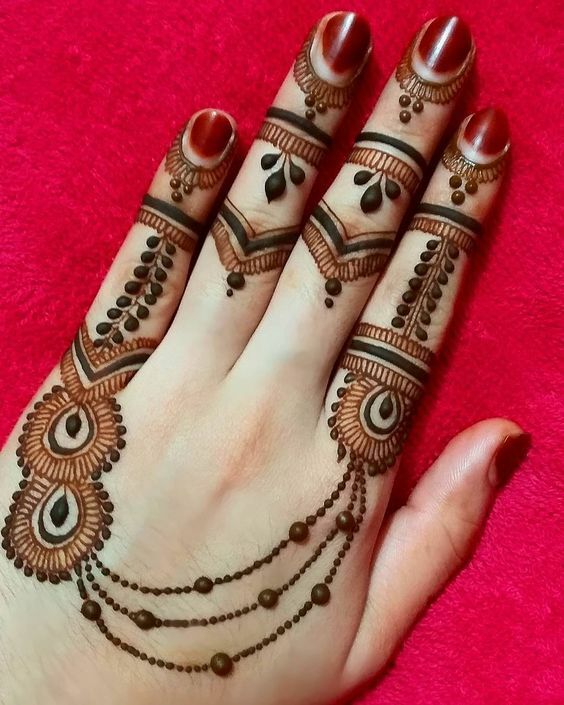 I am sure y’all would love # arabic mehndi designs, if you like this post share this post with friends and follow me on social media by clicking on the social icons to get fashion and style stuff for free. 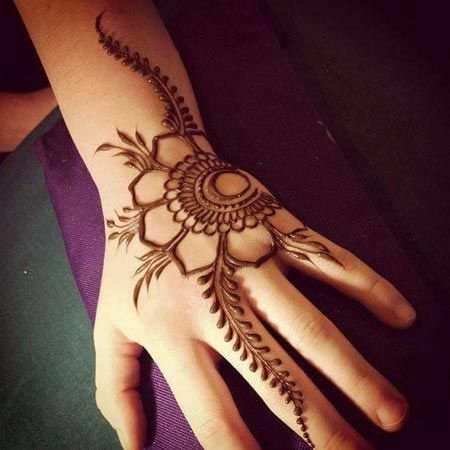 If you have any questions connect with me via the comment section below or my email address given below, I would like to here from you about your arabic mehndi experience. 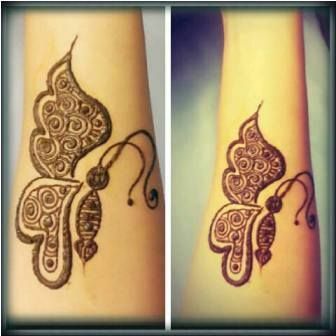 Punjabi mehndi designs look awesome for this check out this link punjabi mehndi designs.